For a complete list of my publications, please refer to my CV. 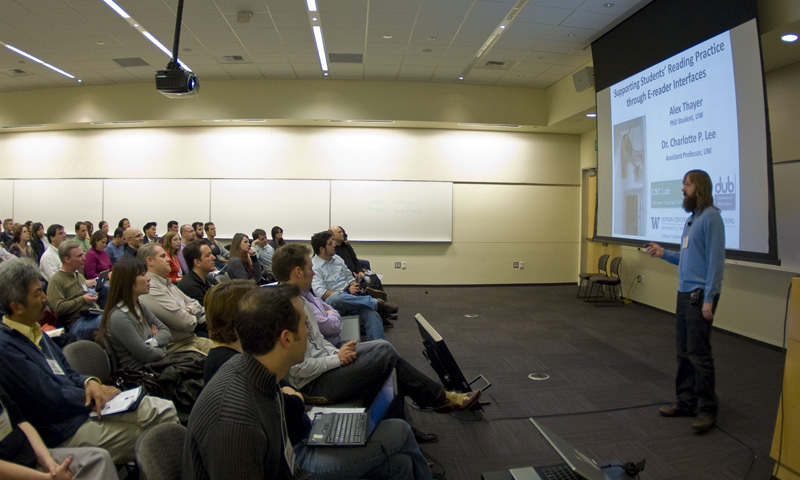 That's me presenting at World Usability Day on the Microsoft Redmond campus in 2010. Site copyright 2004-2012, all rights reserved by Alexander Thayer; all documents retain their original copyright and their distribution here is for illustrative purposes only, so please don't redistribute this stuff...I make these documents available for those who cannot otherwise access them.